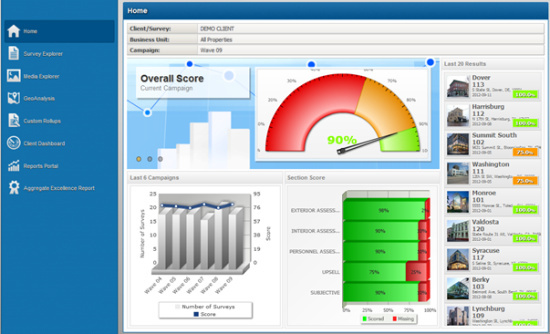 From scorecards and dashboards to advanced interactive reports our reporting platform offers unlimited reporting and business intelligence capabilities in one integrated solution. 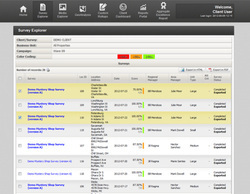 Browse the array of tools available for your reporting needs below and discover the flexibility we offer. 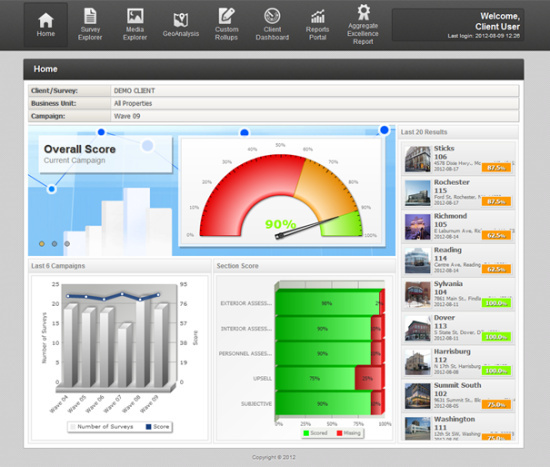 The Welcome Page is specially designed to present data aggregated to the highest level at a glance. You can immediately see the overall and section scores of the campaign plus keep track of the trend of your location results. 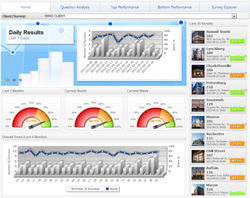 The Client Dashboard delivers a powerful visual presentation of multiple performance indicators at a glance. 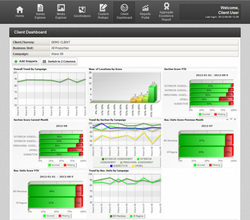 With its ability to quickly provide a comprehensive view of the "big picture" with a single click, the Client Dashboard is the perfect tool for high level managers. With easy, drag-and-drop user-based customization capabilities, the Client Dashboard is the ultimate top-management "information at a glance" reporting tool. The ability to zoom snippets allows you to get a magnified view or simply export to a PowerPoint presentation for an executive meeting. 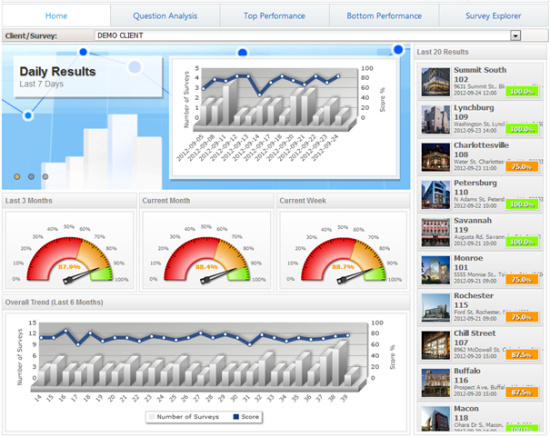 Vivid visual markers allow you to quickly identify top and critical performers in various key performance indicators. 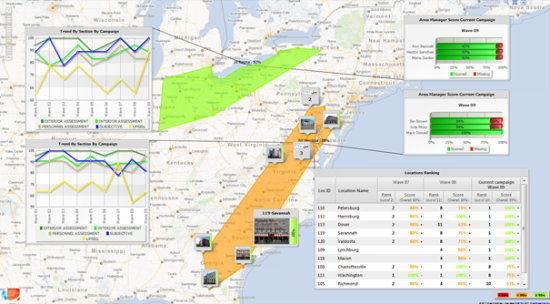 The Geospatial Analysis Portal is a unique feature in our analytical platform, enabling data visualization based on geographical regions/districts/locations or other company-specific organizational structures. 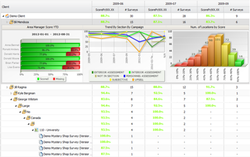 We offer more than 10 different charting options along with filtering abilities by time/period/campaign (wave); client/project; location/state/region. 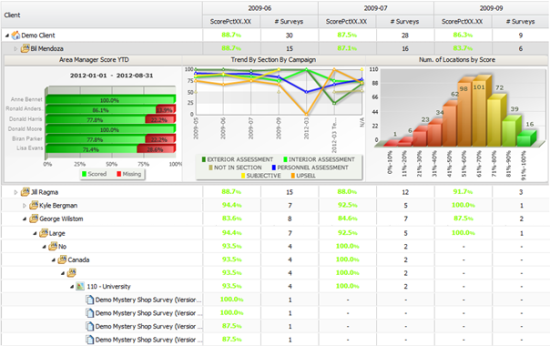 Multiple charts of the same type can be opened in the same report and each chart can be moved to a different position or resized for better visualization. With the combination of the three fundamental data presentation components in one report – tabular, chart and color coding, you benefit from the enhanced visualization and dramatic time savings in reading and understanding reports. 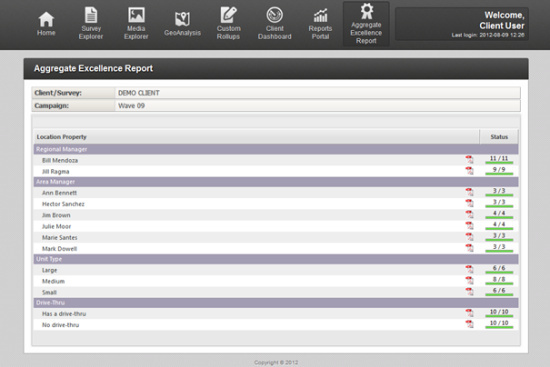 You no longer have to expend effort reading and interpreting data, our reports do this for you. 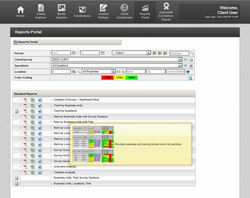 With over 15 customizable and configurable reports covering all aspects of organizational performance, including trending, ranking, survey, question and answer analysis, verbatim and exceptions analysis you are guaranteed to have a thorough view of your performance at any point in time and business dimension. All reports are available for download in PDF, Excel and image formats. You can easily copy and paste portions of the report into your PowerPoint presentations or other documents. 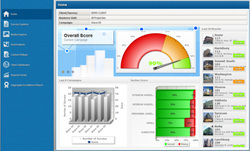 Below and above average performers are visually identified in every report. Customizable color-coding is available for every dataset. 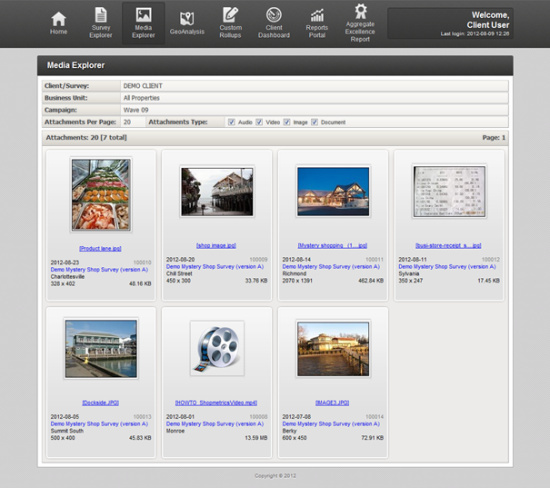 Our Media Explorer provides an effort-free means to locate and track your images, documents or audio and video files with only a couple of clicks. You can easily compare and track changes over time. Filtering for the appropriate media content has never been simpler. Easily filter by projects, locations, regions, location types or date ranges. 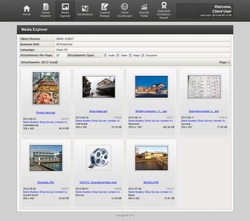 Thumbnail images along with detailed information are available to make your search more convenient. 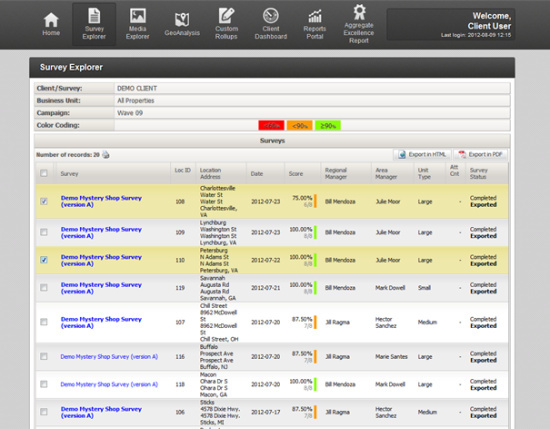 Survey Explorer allows you to search through the list of completed evaluations. This brand new Reporting Tool will allow you to visualize your Business Structure in order to aggregate and instantly analyze results from the current or previous campaign on any level. Users can generate reporting snippets or entire service excellence reports with only a few clicks whether for an entire Business Unit or an individual evaluation. Rebranding your organization's dashboard is now available within the system. As you will see you can deliver a completely customized user experience to emphasize the individuality and strength of your company. 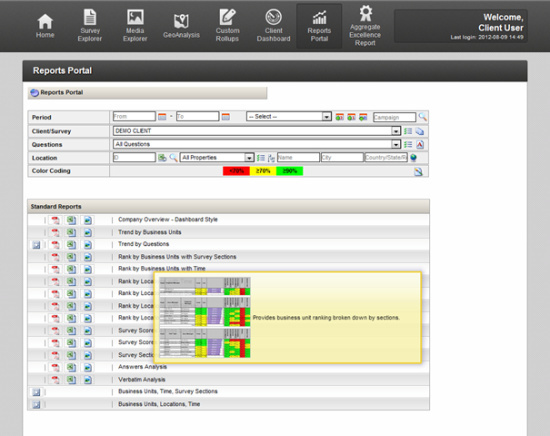 You now have the ability to change the view and organization of the system features enabled. Our new Client Analytics are specially designed to provide you with a unique, contemporary and fully personalized client website starting from a custom login page. Now you can easily change the standard website appearance according to your needs and give staff direct access to the latest generation of reporting tools. 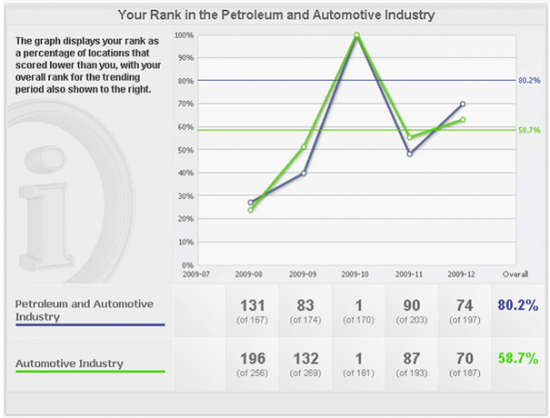 The Industry report serves to visually benchmark how Individual Locations are ranked in comparison to those of all competitors in the same industry. 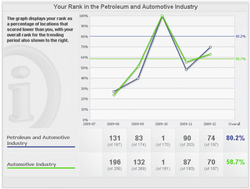 Visualized as a trend line the Industry Report also allows viewers to track their overall rank over time. 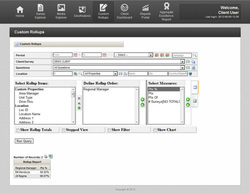 If the standard reports do not satisfy your more specific reporting requirements, our Custom Report builder is the perfect tool for you. The quick, three step report generation tool is a convenient way to construct custom datasets on the fly with minimum time and effort. 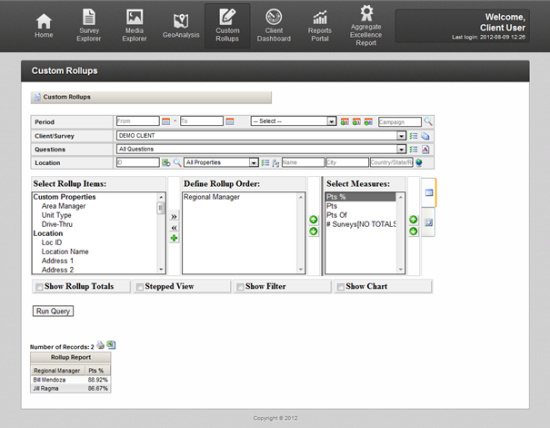 Simply filter the data you are interested in, select the items to appear on the report, define the order and run the report. 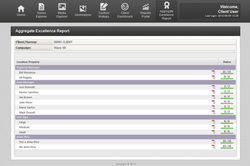 Once the report is generated, you can export it to Excel or print preview it. Select between tabular and cross-tab view. Define your Report - select from over 100 data items and sort them in the desired order.